Muslim women at the Berkat market in Grozny, Chechnya, 2012. (c) Ramil Sitdikov / RIA Novosti. All rights reserved. This is how it usually goes: a young Russian woman meets a headstrong, decisive man from the North Caucasus, a traditionally Muslim region. She converts to Islam and marries him. And they live happily, but only for a while as he flies home without promising to return. It’s a sad story, but not an uncommon one. 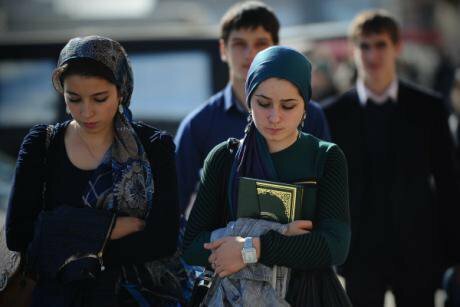 There are no clear statistics on how many women across Russia converted to Islam last year. There’s also no clear data on divorces of this kind either. But it seems that despite their most faithful efforts, many of them don’t live happily ever after. I decided to find out how these couples live — and whether they find happiness. I meet Milana (name changed at her request) in a cosy Moscow apartment. This is where she receives customers — she works as a hair stylist. Beauty is a way of life for her. Her wardrobe is full of clothes that highlight her figure as well as shoes from stilettos to trainers. Ten years ago Milana, who’s originally from Orenburg and who has stunning good looks, swapped all these clothes for a black dress and hijab after converting to Islam. Before that, she loved parties and had a successful career as a stylist. Milana got to know her future husband on Odnoklassniki, a popular social networking site. She was just 18 years old. A week later, Milana had entirely changed the way she dressed. She turned up to work in a long dress and a hijab. “My family, let’s say this, weren’t pleased — my aunt went into hysterics, my mum and dad panicked, but it was all the same to me. I deleted all the numbers of my friends who didn’t understand me. To be honest, I deleted everyone.” A month later, all Milana’s friends in Moscow had disappeared. At work, Milana says, her colleagues were shocked by her decision, and believed that “some Caucasus guy was ‘recruiting’ me”. “Gradually, fewer clients came to the salon where I worked. And after a couple of months the manager told me that my services were no longer required,” Milana says. “I couldn’t survive on the little money I’d saved. Nobody would rent an apartment in the centre [of Moscow] to me, and I was refused other accommodation. They told me openly that they wouldn’t rent to a woman wearing a hijab. I couldn’t even find work in a small local hairdresser’s. As soon as they set eyes on me, they said no. Milana’s anonymous social media friend continued to write to her. After half a year, without even having seen a photograph of her, he proposed marriage. When Milana agreed, he wrote that there was one important condition. Milana soon left for Makhachkala, the capital of Dagestan, to meet and marry her suitor. Her parents didn’t approve the marriage, but they had no say in her decision. Very slowly, old friends from Moscow who had shunned Milana at first started to come back into her life. Her husband bought them tickets to visit her in Makhachkala. Now they didn’t hesitate to say that Milana had “made the right decision”. 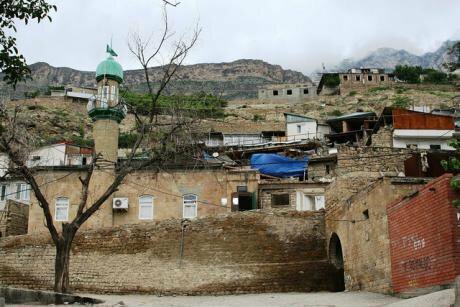 Mosque in Gimry, Dagestan. Photo CC: Varvara Pakhomenko / International Crisis Group / Flickr. Some rights reserved. Her husband sent Milana back to Moscow, saying it was “just for a little while”. But she decided not to return to Makhachkala. And although she spent the next six months veiled, constant suspicion and problems with finding work convinced her to gradually adopt a different wardrobe. I met Leila (a pseudonym, at her request) in coffee shop in Moscow. She’d brought her young daughter along to the meeting. Leila also has two sons — the oldest will soon be 14. Leila is an ethnic Russian who converted to Islam in the early 2000s when she was just 19 years old. “My parents didn’t really set any strict boundaries, and my conversion to Islam was almost an attempt to surprise everyone. I certainly succeeded,” she says. Having converted, Leila changed her lifestyle very quickly, completely cutting off contact with men. “All my friends were shocked — they tried to ‘rescue’ me. I completely changed my clothes, and only wanted to talk about religion. As a result, my social circle changed too,” she says. After half a year, Leila got married. She was introduced to her intended by her new Muslim friends, and after just two weeks they were already married by Islamic law — entering into a nikah, a religious contract. Leila’s husband, a man from Ingushetia ten years her senior, was a recent divorcee and lived in Moscow with his parents. Before long, their marriage was legalised not only before God, but before the state, too — they had ceremony in a registry office. Moscow’s Cathedral Mosque, rebuilt in 2015. CC-by-NC-ND-2.0: Khusen Rustamov / Flickr. Some rights reserved. Leila soon had a child and ditched her studies. Her new mother-in-law was Russian, though that didn’t make their relationship easier. “She had lived her life in an Ingush village high in the mountains, cooked soup in a cauldron, washed the cows under the supervision of her husband’s eight sisters. She understood how an Ingush family functioned, and told me that men married to ensure there was somebody to work at home,” Leila says. Because her new husband’s parents were already elderly, all of the housework was Leila’s responsibility. And there was a lot of it. Whenever relatives dropped by — and they dropped by often — Leila would have to prepare a meal and clean up after them. Cleaning their shoes was a particular responsibility. “When his cousins arrived one night, they simply threw their shirts and socks into the bathroom and everything was expected to be clean by the following morning. I tried as hard as I could to put up with it, but always felt the crushing weight of duty,” she says. Leila’s husband would try to help out, but the mother-in-law would intervene. Leila soon began experiencing feelings of worthlessness and discomfort. Today, Leila is convinced that a common religion alone isn’t enough to strengthen a family, no matter how pious the husband and wife. “If you want to really integrate, you have to convert to cultural traditions, too,” she says. Leila and her husband later divorced, on her initiative. She says the relationship collapsed for personal reasons unrelated to her husband’s background. These days Leila is no longer so strict about how she dresses — she’s exchanged her hijab for a scarf and hat, and her dress for a pair of jeans. Her children remain with her, although according to Ingush tradition they should be with their father. For some time, her husband threatened to take the children away, but never made good on his threats and later accepted the situation. Alyona has lived in Grozny for three years. She’s 31 years old, and met her husband in the Russian Far North. She’s an ethnic Ukrainian, who was born and raised in the Komi Republic, a region in northern Russia. Like many from the North Caucasus, her husband moved there to find decent work. “At the beginning I thought that it wasn’t serious, that he’d just return to Chechnya and nothing would come of it. But it didn’t turn out like that. I was working in a bank, and suddenly a vacancy appeared in Kabardino-Balkaria. I applied, and after half a year they sent me down there. Upon arrival, I converted to Islam and we married,” Alyona tells me. They didn’t go to a registry office. 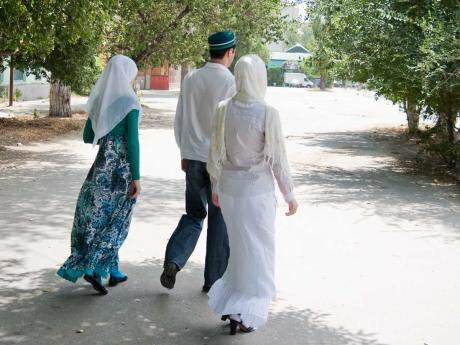 According to Alyona, few people bother to register their marriages in Chechnya. “There the only thing that matters is the nikah. As long as you’re married in the eyes of God, nothing else is significant,” she says. Alyona decided to convert to Islam before relocating to the North Caucasus. At the time, public opinion in much of Russia was not favourable to Muslims. “Even now, when people ask my relatives about me and they are told that I live in Chechnya and am married, their first reaction is fear and shock,” she says. She’s also dealt with her fair share of unpleasant situations. “Once I was on a train from Nalchik, headed north. I was speaking with some women and mentioned that my husband was a Chechen. It was very cold, I was wearing slippers and had forgotten to bring a proper change of shoes. As night fell, I lay down to sleep and heard my fellow travellers whispering around me. ‘Will we get there? Will we not? Will we be blown up?’ I didn’t immediately realise that they were talking about me. It turned out that they’d assumed that as I was carrying such a large suitcase, and hadn’t bothered to bring a change of shoes for the journey, that I must be carrying a bomb,” she remembers. In Chechnya, things went more smoothly than Alyona expected. She integrated and adopted local customs. As she puts it, she “Chechenised”. Unfortunately, Alyona’s story appears to be more of an exception than the rule. Many marriages between female converts to Islam and men from Muslim backgrounds end in divorce. The religious factor, so commonly assumed to help unite husband and wife — and wife with her in-laws — means little. Olga Pavlova, an associate professor of ethnography and psychology at the Moscow State University of Psychology and Education, explains that the problem isn’t necessarily in Islam itself, but in the customs and traditions of the North Caucasus’s Muslim-majority ethnic groups. Pavlova points out that the North Caucasus has its own, very specific customs. “When she gets married to a guy with this background, the young woman needs to understand that she’s entering a union not only with her husband, but with his entire family,” Pavlova says. “She’ll need to build a good relationship not only with her husband, but with a large number of his relatives, above all his parents. In Moscow, St Petersburg and other large Russian cities, an industrial or post-industrial model of the family dominates, which is very distinctive from the traditional patriarchal model. This is seen in the theoretical equality of the genders, or in the gradual blurring of the boundaries between them. In traditional families, the husband is simply the unquestioned authority at home, and his wife depends on him. According to Pavlova, some young Russian women believe that they can only be “real women” when in a relationship with a hyper-masculine or even violent man — traits often ascribed to the North Caucasus. But this is a huge misconception. The masculine traits demonstrated by “real men” during courtship do not guarantee happiness in family life, where patience, kindness, and empathy are crucial. Divorcing a woman who has converted to Islam, and usually comes from a different ethnic group, is quite easy. In tricky situations, she’ll be pitted against her husband’s entire family and clan — her family won’t want to get involved. Leila found this out the hard way when she came under pressure from her husband’s relatives and couldn’t turn to her own family for support. When our first heroine, Milana, discovered that she was to share her husband with another wife, she took the news remarkably well. Offers to become a second wife aren’t uncommon, but there are few women who would willingly agree to such an arrangement. In fact, women born into Muslim families are least likely to accept it, even though Islam permits polygamy. What do women find so distasteful about it? In Pavlova’s experience, Russian women are more willing to become second wives rather than women from the North Caucasus. “And they’re exposed to a great risk. There’s no such thing as a ‘secret’ marriage with, say, an Ingush woman — she’ll have a big family and in principle her family will be there to defend her in case of ill treatment,” Pavlova says. “But although a wife from another culture, an outsider, does have rights according to sharia [Islamic law], they can be easily violated. Her new husband can divorce her at any moment, with or without good reason. A young woman who has just converted to Islam and surrounded by a foreign culture may be quite psychologically vulnerable. In some cases this works to her new husband’s advantage, with tragic consequences. “Some women convert under duress, and those who don’t can often be quite impressionable. If she’s become disillusioned with her husband, she could become disillusioned with her new faith. She could become disillusioned with its interpretation, and move towards a more radical form of Islam,” says Pavlova. Nikah: what can I do, what must I do? 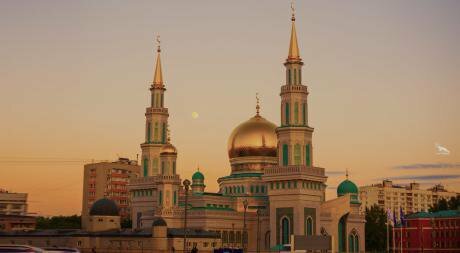 Although countless women in Russia have converted to Islam in order to marry a Muslim man, they are not obliged to do so by Islamic law, notes Anar Ramazanov, Islamic scholar and Imam-khatib. Furthermore, conversions under duress are forbidden in Islam. “In the Qu’ran it’s written that a Muslim man can marry a Christian or Jewish women. These are monotheistic religions that recognise the existence of one, unified God. Marrying kaffirs or pagans — atheists, or anybody who denies the existence of that God — is categorically forbidden in Islam,” explains Ramazanov. Ramazanov knows several unions involving Muslim men and non-Muslim women — and in half of them, the woman has converted to Islam. He adds that there are also no religious prohibitions against concluding a nikah (Islamic marriage contract) between a Muslim man and a woman of a monotheistic faith. “Remember that in both the Bible and the Torah, the husband is seen as the head of the family. Therefore, the children of a Muslim father should always be raised as Muslims,” Ramazanov says. Ramazanov has seen plenty of divorces — though rarely for strictly religious reasons. The problem usually lies elsewhere. “Complaints are usually about the husband’s behaviour: that he doesn’t look after me, doesn’t pay attention, and so on. These complaints are quite common in marriages between men from the North Caucasus and women from a non-Muslim background, from elsewhere in Russia. Their wives complain that their new husbands frequently leave the region and aren’t home for months. I regularly meet women who need advice about what to do in this situation. I recommend that they ask for a divorce,” he says. 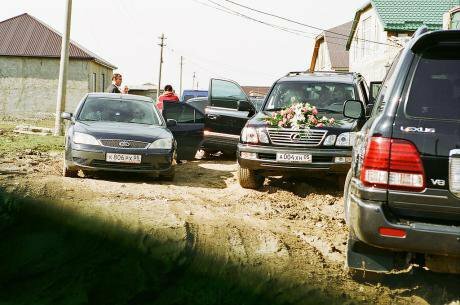 A village wedding in Dagestan, 2011. Photo CC-by-2.0: Un Bolshakov / Flickr. Some rights reserved. In Islamic law, a woman can ask for a divorce if her husband has beaten, humiliated or offended her, if he no longer provides for her, doesn’t perform his conjugal duties, contracts a serious contagious disease, goes to jail to goes missing without a trace. The biggest problem faced by recent converts to Islam is that their marriages to Muslim men are often secret. In Milana’s case, only a few of her husband’s friends and relatives knew about the wedding. Even fewer knew that it also involved a nikah, a religious commitment. Pavlova adds that many people don’t treat a nikah too seriously — at least, not as consequential as a wedding at a registry office. “Even in religious circles I hear that the registrar’s stamp is a must. That is to say, you can live together as a couple after a nikah, but it doesn’t necessarily reflect serious intentions,” she says. “If a man insists that a nikah alone is sufficient, his wife-to-be should think very carefully. In fact, the European Council for Fatwa and Research ruled that a state registration of a marriage between Muslims, if attended by two witnesses, is adequate. Given that it demonstrates mutual consent and a public declaration of commitment, it fulfils the minimum requirements for a religious marriage under Islamic law,” Pavlova adds. 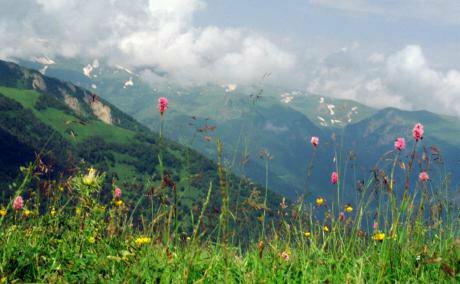 Wildflowers in Kabardino-Balkaria, in Russia’s North Caucasus region. Photo CC-by-SA-2.0: Lyudmila Khorunzhaya / Flickr. Some rights reserved. Pavlova agrees, though sees this process as part and parcel of the pre-marital customs of many cultures and faiths. “If a young man is serious about the relationship, then he has to get to know his fiancé’s parents and build a relationship with them — including introducing them to his own family,” she says. 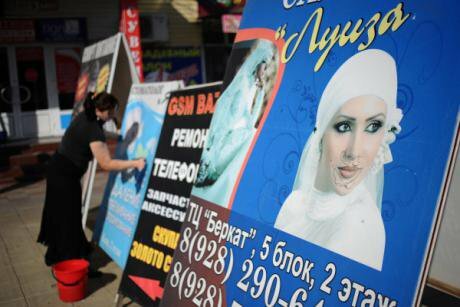 In modern Russia, there is a multitude of stories involving non-Muslim women marrying Muslim men— and a multitude of possible endings to those stories. Some, unfortunately, end tragically. More frequently than not, Islamic law and norms do not save a new wife from mistreatment by her in-laws, nor from psychological or physical abuse from her husband. Any expert will tell you that taking on a new faith is a serious commitment and a serious decision. Any woman who does so to find a husband should understand that the problem isn’t religious identity, but the customs and way of life of her new husband and of his family. She must learn her rights as well as her responsibilities — both the Islamic (sharia) and those traditional to the North Caucasus (adat). If the former are violated, she mustn’t hesitate to seek help. It’s worth remembering that Islam doesn’t only concern itself with women’s duties — but their rights, too. In the North Caucasus, traditional and modern expectations of relationships are more chequered than a patchwork quilt. Here’s how young couples negotiate them.